Beautiful quilted bib and burp pad gift set. Choose from baby boy, girl or both. 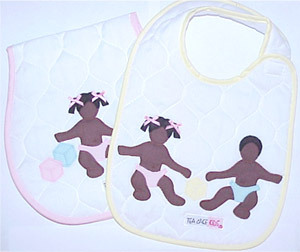 White poly cotton quilted fabric with applique of little brown baby boy, girl or both and color trim.